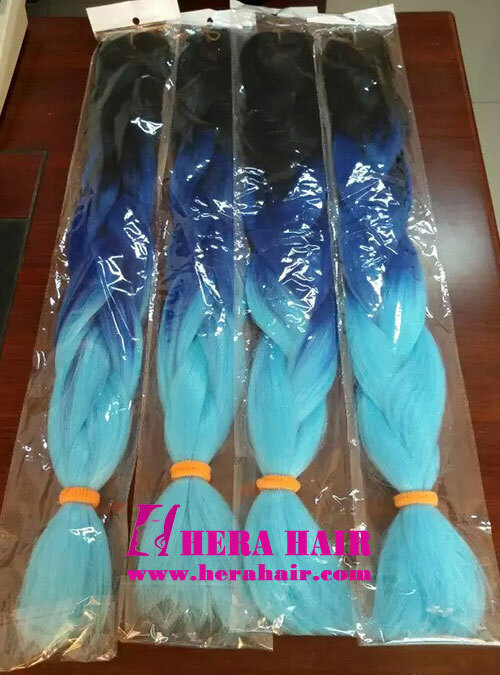 Hera is professional synthetic African jumbo braids manufacturer and wholesaler in China. Such as the pictured long Yaki ombre synthetic African jumbo braids are 24 inches very salable braids for African hair braiding. The second pictured are packaged yaki black ombre blue synthetic jumbo braids by PP. We have stocked many these 24 inches long Yaki ombre jumbo braids for quick wholesale. 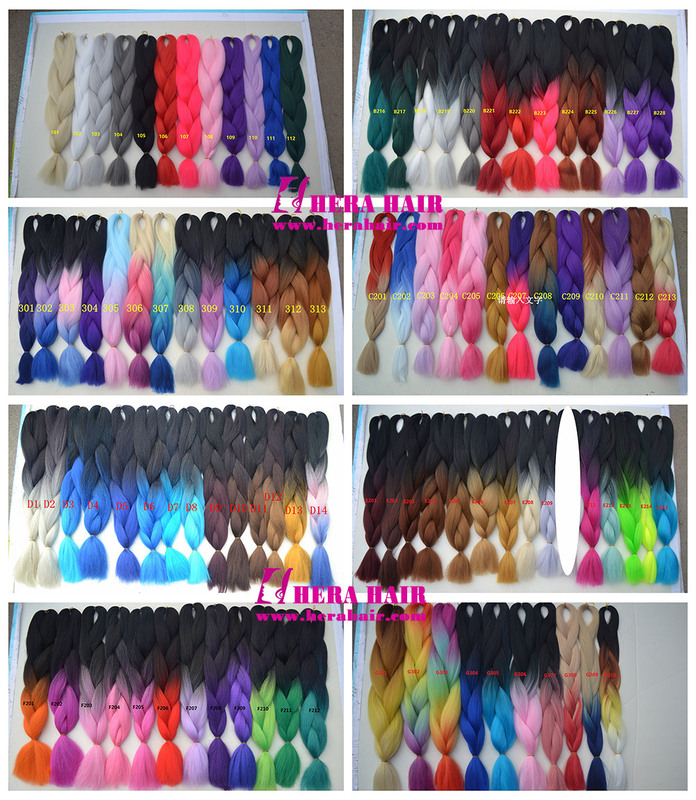 So if you are interested to wholesale this kind of quality heat-resistant jumbro braids, you can choose the right color from the followed color picture and confirm the quantity then we can offer you. The single color synthetic African Jumbo braids are 41 inches length, 165gram/pack. 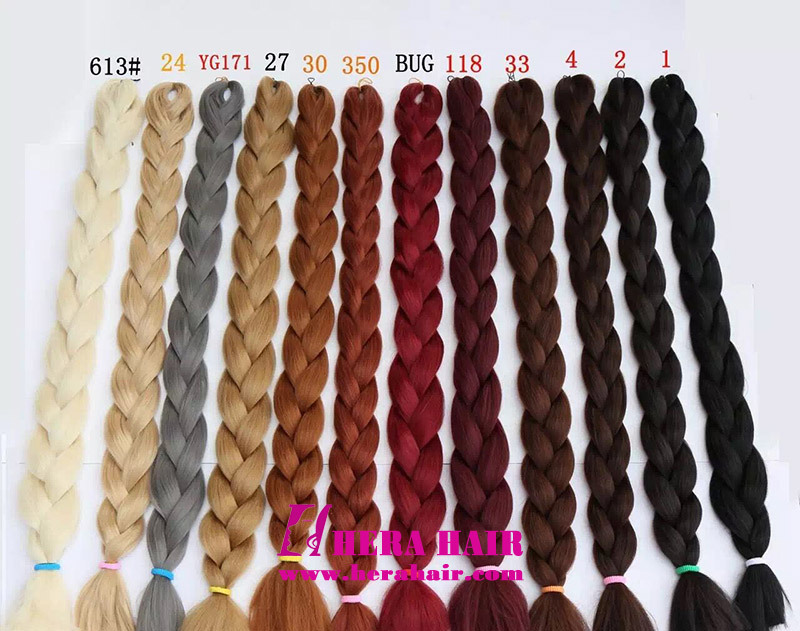 The jumbo braids wholesale minimum order quantity is 300 packs, and you can mix different color but the MOQ per color is 50pcs, which one pack is about 100gram. We also can custom jumbo braids with different length, different color and different texture, so if you need custom braids order, please let's know the details.